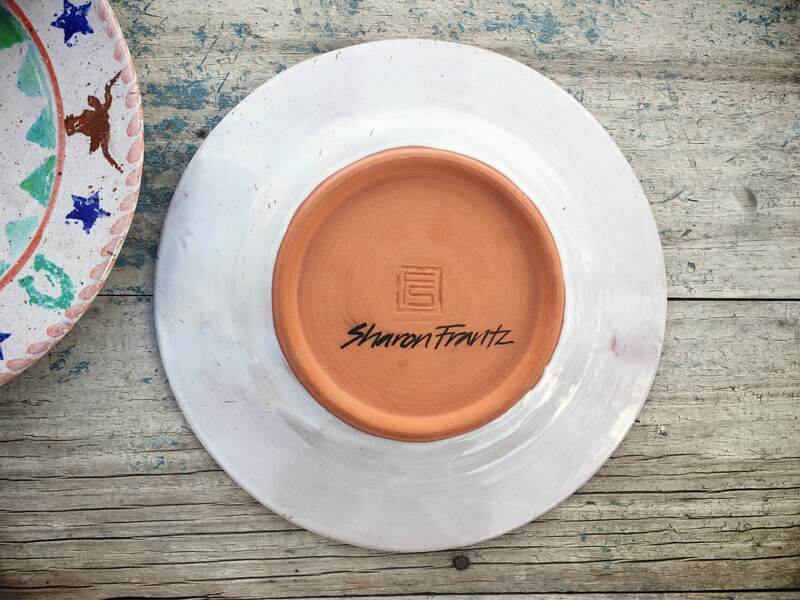 From what I can tell, Sharon Frantz was a designer who created some amazing pieces that were made in Italy and elsewhere. 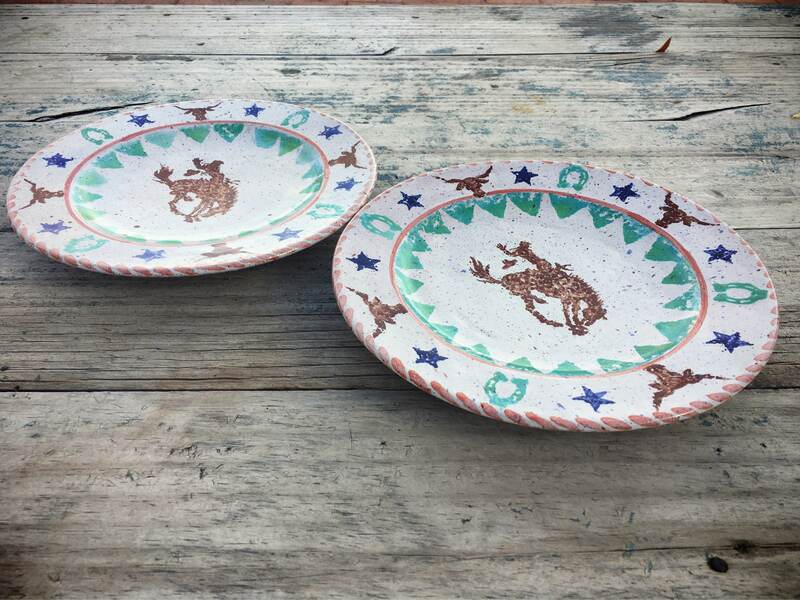 These two plates are her own--designed and made by her, carrying her mark on the back. I've only found two like them, which have since sold. 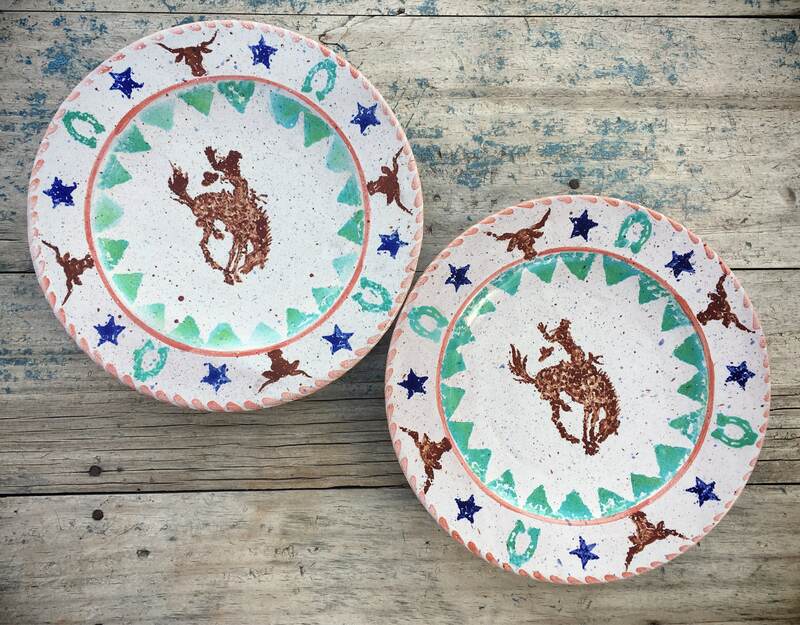 They're redware pottery with a thick glaze and sponge applied designs of a bucking horse and rider in the center and branding iron designs around the edge. 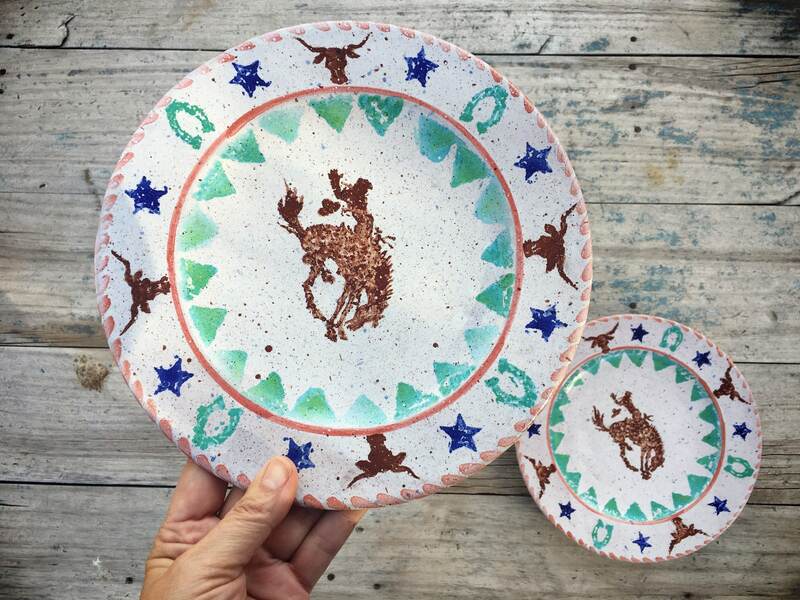 They don't have a mechanism for hanging yet would be a great pair on a gallery wall of plates in a Western themed home or cabin, or set against the back of an old country hutch. Each plate measures 9-5/8" in diameter. Together they weigh close to 3 pounds unpacked. In good vintage condition. 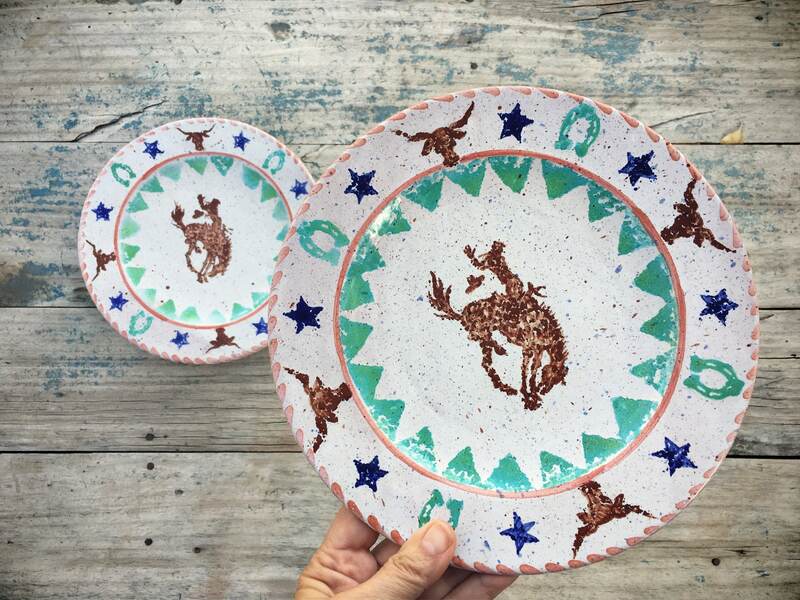 For eating your grub in style.